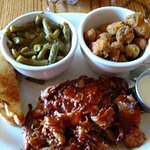 All the meats are great, but the huge beef ribs are my favorite.Barbecue in fried okra were the best I ever had.... brick house and ordered sandwiches--beef for me, pork for my husband--tha...Absolutely delicious!! Had baby back ribs, potato salad and slaw. Additional Side Orders May Be Added For $1.50 Per Person. We Can Provide Drinks, Lemonade Or Tea For $1.00 Per Person. The house that the restaurant is in was built in the 1800s by a Russian immigrant and is fascinating in its own right. The food was delicious. 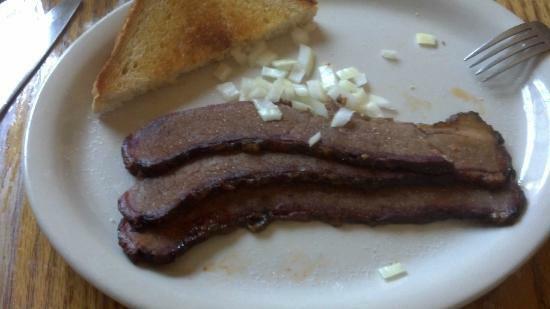 I had the brisket with green beans and fried okra sides. Absolutely fantastic. I love this restaurant, You feel like you're visiting family - the atmosphere is simple yet warm and friendly. Food is wonderful - especially desserts! I always get a meal to go it's so good. best bbq in alb period. Been going here since 1989 and it never fails to satisfy. Great staff and service a real 505 jewel. 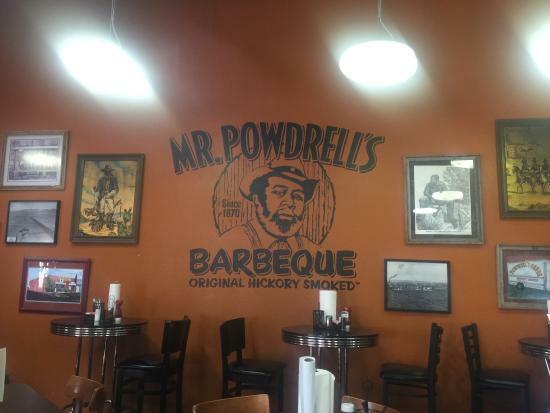 Get quick answers from Mr. Powdrell's Barbeque House staff and past visitors.